Owning a pet comes with a lot of fun activities as well as nasty ones like picking up their poop. Dogs can poop almost anywhere including carpets, gravel and grass. To get rid of foul odour and maintain a healthy environment, cleaning should be done appropriately using biodegradable dog waste bags. A good biodegradable bag should be earth-friendly and decompose within a short time. Animal waste is host to bacteria and other harmful organisms that can be detrimental to the health of both pets and humans. Improperly disposed of, dog poop can contaminate local water supply resulting in the spread of disease-causing organisms. It also attracts unwanted flies and gives off an unpleasant odour when it begins to decompose. Disposal of dog poop has been made easy through the use of pet waste bags for those that are easily nauseated. 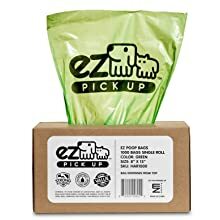 These disposable bags can be used with pooper scoopers or worn over the hand to eliminate direct skin contact with animal waste. Although composting is the ideal way to dispose of dog poop, it is difficult for people living in urban areas hence the need for pet waste bags. Most people have little or no knowledge about composting and should avoid it due to the type of end products released from decomposed dog poop. It is not suitable for growing edible crops. There is very little information on the content of pet waste bags, making it difficult to choose the ideal product. Due to a general belief that the quality and durability of a bag is dependent on its weight, most people tend to purchase products that seem heavier. But there are other factors to consider. The lines separating each bag in a roll may not be perforated adequately making it difficult to detach. The seams at the bottom may not be properly sealed and will eventually lead to leakage. These factors make such waste bags difficult to use. Purchasing from manufacturers that follow strict quality control measures is key to getting the most suitable product. Picking a good dog waste bag is important because many poop bags are under ban in several states in the U.S as well as in other countries. Today, there are so many bags on the market, but only a few are considered as good poop bags which are also suitable for the environment. Some manufacturers aren’t honest about their bag’s biodegradability. How then can you pick out a great product for your dog while looking out for the environment? You should consider the thickness as this prevents the poop from slipping out from the bag. You should also consider the biodegradability of the bag. This prevents accumulation of plastic which in turn leads to pollution. The size of the bag also matters especially when you have a bigger dog. Below, we have picked out five dog poop bags that will fit the requirements for every pet owner. 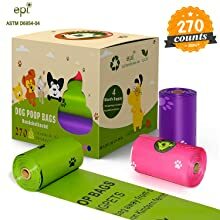 Most of these poop bags are earth-friendly and biodegradable,and this means that dog owners won’t have to worry about worsening the pollution on the environment. 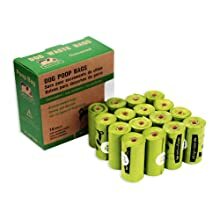 The Petloft poop bags come in a dispensing box that contains 600 units of durable biodegradable bags. It is designed for easy use with its tissue-style dispensing structure. These bags are 0.02mm thick and are the tips are easy to tie to prevent contaminating the hand or leakage. They are lemon-scented to minimize the discomfort from foul odours when u need to carry a bag containing poop for a long distance until you find a disposal bin. They are designed with Epi-Technology to facilitate timely biodegradation and minimize pollution. 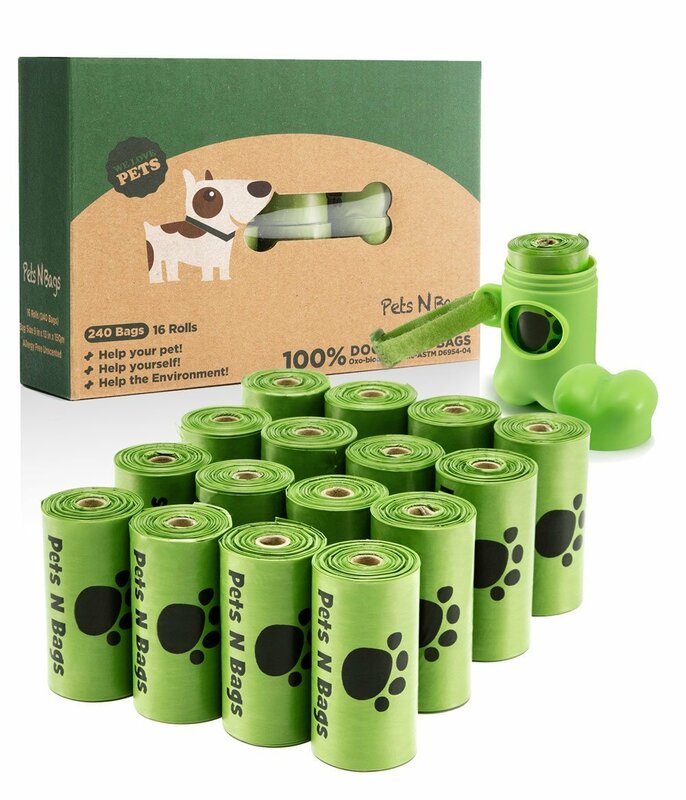 This product is considered one of the best biodegradable dog poop bags by most pet owners. 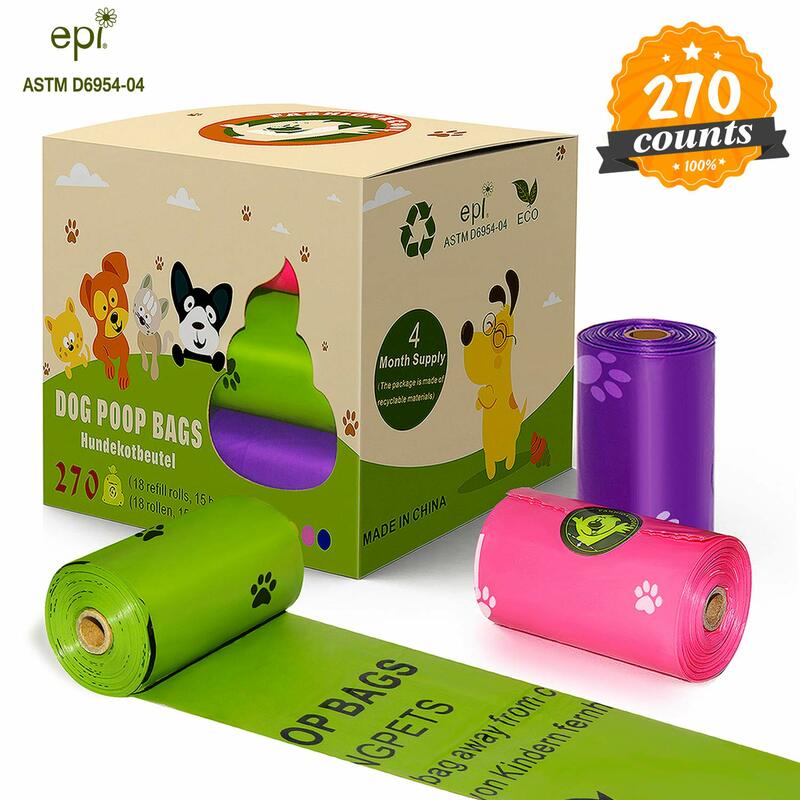 They are earth-friendly poop bags that are ASTM D6954-04 compliant. Biodegradable and unlike polyethene plastic bags; they are made from a bio-based material like cornstarch. The box comes with 270 units of durable dog poop bags that are thick to eliminate hand contamination or leakage. It comes in three different colours and is unscented, making it suitable for nervous dogs. Each bag can be detached easily from the rolls and the top tied without difficulty after use. 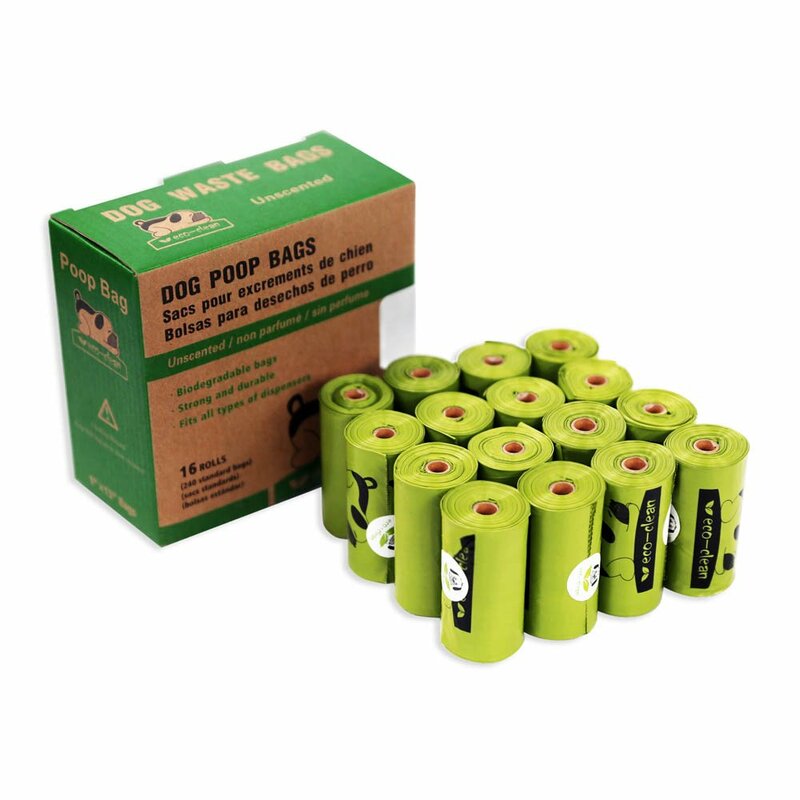 The Earth-Rated poop bags are durable and thick enough for handling dog waste under good sanitary conditions without making a mess. The box contains 2 standard leash dispensers and 60 rolls of 15 poop bags each, making a total of 900 refill pet waste bags. As the name implies, the product is eco-friendly with most of its packaging made from recycled materials. The cute poop bag dispenser which can be securely attached to your dog leash enables you to quickly detach and use the bags when needed. 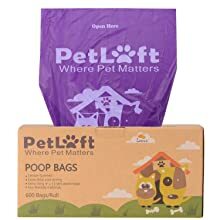 The lavender scented bags help minimize the unpleasant smell of dog poop. It can also be tied securely after use making it ideal for long walks with your pet. These are ASTM D6954-04 compliant biodegradable dog waste bags that have most of its packaging made from recycled materials. The Eco-clean box contains a bone-shaped dispenser and 36 rolls of 15 poop bags each, making a total of 540 refill pet waste bags. Users recommend it as a product with the best dog bag dispenser because it comes with a clip that makes attachment to a dog leash possible. With this feature, you will not run out of poop bags while walking your dog. The bags are made of durable leak-proof material and can be tied securely after use making it ideal for outdoor time with your pet. 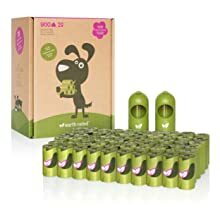 They are oxo-biodegradable and come in different combination sizes making it one of the best biodegradable dog poop bags in the market. These pet waste bags, when disposed of, biodegrade without releasing poisonous methane gases. The unscented allergy-free poop bags can be used with hands-free waste bag holders to eliminate hand contamination. Pets N Bags poop bags are durable with water repellant coating and can be tied securely after use to minimize pet waste odour. 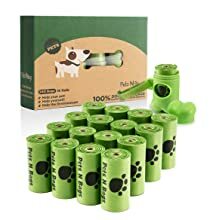 The poop bag rolls of different sizes can be fitted into the dispenser suitable for use with various dog breeds including large ones. A pack of the Amazon Basics bag includes about 60 rolls,and it has 15 bags per roll. It may be ideal for dog owners who prefer to buy in bulk and stock it up. 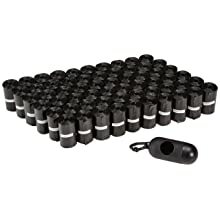 The bags, its dispenser, and leash clip come in a simple black color. A round opening which is located on the dispenser’s side allows for pulling and pinching the first bag through. Each bag separates from the next without a hassle.The arrows printed on the bag also make it quite easy to find the open end. Slightly thicker than others on the market. Easily separates from other bags. Uses “single” seal and”double” seal. This bag has an EPI technology that allows the bag to break down within 18 to 36 months. For environmentalists, this may be ideal as it keeps landfills, parks, and oceans, plastic free. The coreless bags do not leave any waste after it’s been disposed of. It has 1000 Bags in each pack with 50 Rolls and one Patented Dispenser. Spacious enough for bigger dogs. The pack dispenses one bag at a time, and its package also serves as a dispenser. This dispenser has two hanging tabs. The poop bag has a 2-ply construction with a roomy bottom pouch. This may be helpful so you wouldn’t have to feel the yucky stuff. They are touted as puncture resistant, so turning the bags inside out doesn’t make a mess. This poop bag has a larger storage capacity and can accommodate poop from all dog sizes. The bag can also contain a litter box where necessary. The bag’s 2 ply design makes carrying the poop easy and quick. The bags are durable and do not rip easily. The dispenser box is quite handy and easy to stash under your cabinet. It holds in the smell. The price is exorbitant, but may be worth it if you must to clean up after your pet daily. The dispenser box malfunctions sometimes. 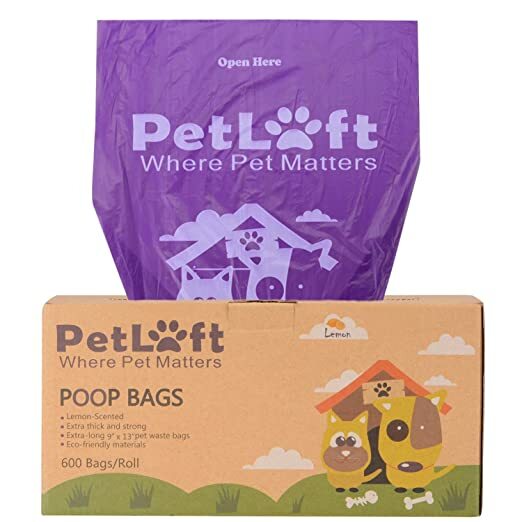 These bags may be a great option for picking up poop. They are sturdy, and all the bags easily detach from each other. The box can be stored in the car for those strolls with your pet. The bag is easily detachable. It contains more than enough for months. It isn’t suitable for bigger dogs. The Pogi’s poop bag is biodegradable and has an EPI technology that allows the poop bags to breakdown in 18 months or even shorter. The bag is also large and may be ideal for bigger dogs. It is leak-proof as well and prevents a mess when picking up after the pets. It may also work for cat litter boxes. The poop bags have fresh scented powder laced with it, and this fresh powder scent may help you forget about that the bag contains poop. The product is recyclable as well, and dog owners who are conscious of the environment may enjoy using it. The product comes in a super pack that contain 30 Rolls (450 Bags), and this can serve as a six-month supply. Also, the rolls fit into all regular sized dispensers. Dog poop can be disposed of in a variety of ways like flushing, composting or throwing in the trash. 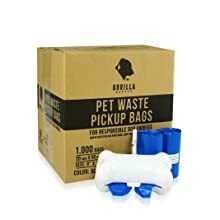 Those that intend to use poop bags should know that all pet waste bags come with their own perks. Every material decomposes whether it is the conventional petroleum-based plastic dog poop bag, the bioplastic agricultural plant-based models or the water-soluble ones. Poop bags made of polyethene plastic decompose after several decades with the release of pollutants that are toxic to the environment. Others that are tagged biodegradable usually do not decompose in the absence of oxygen. When disposed of in landfill sites, they end up being covered by other waste materials and may not break down for several years. Although plastic dog waste bags cannot be recycled, the biodegradable versions are made of materials that decompose a lot faster with a minimal negative impact on the environment. Compostable dog poop bags are more expensive but are broken down by microbes to form nutrient-rich humus that encourages plant growth. Poop bag rolls can be fitted into specially designed bag dispensers for easy access. These dispensers often come with clips that make its attachment to a dog leash possible, so that dog owners do not run out of pet waste bags during outdoor activities. There are also hands-free waste bag holders that can be fastened on the leash to eliminate hand contamination. Water-soluble waste pet waste bags can be flushed down the toilet for those using private sewage systems. The system should be regularly inspected and maintained to ensure that it remains in good condition. People connected to the municipal sewage systems should verify usage regulations before considering this option. Some of these bags are reusable. You just need to wear it over your hand while turned inside out to pick up dog poop or over the frame of a pooper scooper to eliminate bending while picking up after your pet. The waste bags can be tied securely and placed in disposal bins where they are taken by a waste removal company to a composting facility. For people living in rural areas, those in disposable bags can be emptied into the ground and buried far away from residential buildings and water bodies. 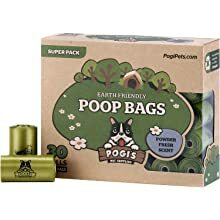 When looking for the poop bags, you must look out for one that is biodegradable and also thick enough to hold the poop. Unlike conventional plastic bags, earth-friendly poop bags have little or no negative effects on the environment. Disposal methods should be improved to facilitate decomposition either in the presence or absence of oxygen. Earth-friendly solutions go beyond just choosing the right bag but going the extra mile to ensure that they are properly disposed of. 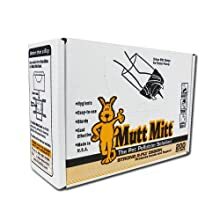 Manufacturers of water-soluble pet waste bags should ensure that their products dissolve consistently when flushed down sewer lines to avoid clogging. Choosing an eco-friendly solution goes beyond just picking the right bag but going the extra mile to ensure that they are properly disposed of.